It's bigger on the inside! Today’s post continues to highlight new adult fiction books at CA Library that have teen appeal. Look for them in the New Books section! Many of these titles were reviewed on the Adult Books 4 Teens blog, moderated by Angela Carstensen, the Upper School Librarian at Convent of the Sacred Heart in New York City, and Mark Flowers, the Young Adult Librarian at the John F. Kennedy Library in Vallejo, CA. 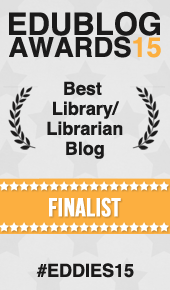 This entry was posted in Uncategorized by calibrary. Bookmark the permalink. Like CA Library on Facebook! Follow CA Library on Instagram! Follow CA Library on Twitter! I'm the library media specialist at Canandaigua Academy in upstate New York. Feel free to read some posts and comment on whatever you'd like. Comments are moderated and are subject to approval by me. New Nonfiction at CA Library! New Adult Books For Teens!